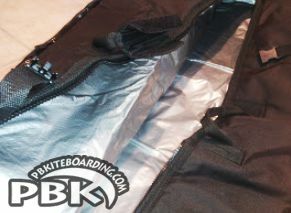 Kiteboarding Bags Kiteboard Golf Bags! Bags for Kiteboarding, Kitesurfing High Quality fabric and Padding with an excellent zipper reinforced belts, handles and Wheels. 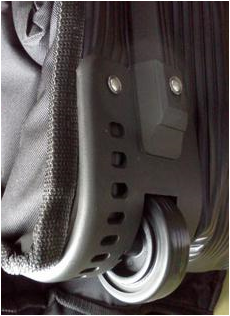 Carry more Gear and stay below Airline weight restrictions. 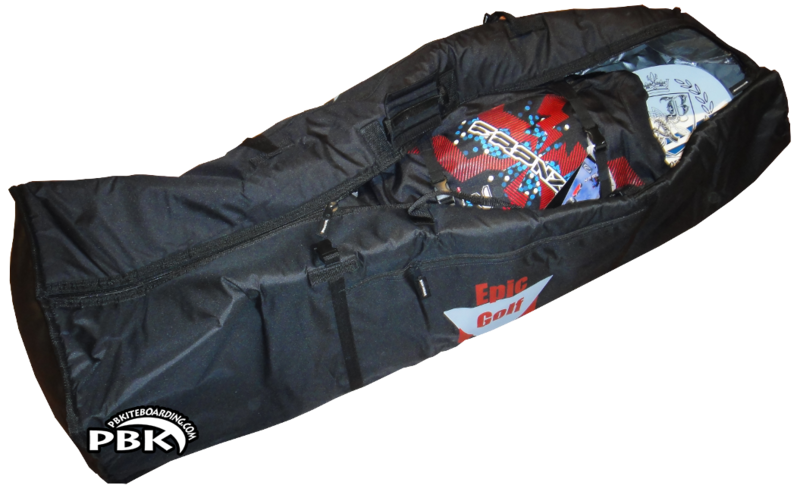 Excellent Price for this well built Kiteboarding Gear Golf Style Bag! When you’ve got a bunch of kite gear, you need a safe and easy way to transport it. The Epic Golf Bag does that and has a “secret weapon”. << Click to Enlarge for a Closer Look! If you don’t know already, the airlines “reward” golfers by letting them take oversized and overweight bags without extra fees. (check all Fees with you carrier in advance. That is great news for golfers! 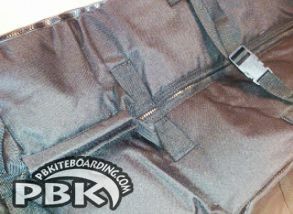 Now it’s great new for us taking PBKiteboarding Kitesurfing Equipment to airlines too as this is clearly a “golf” bag. Meanwhile surfers of all types have to pay extra fees that can total hundreds of dollars.We are not sure why the airlines love golfers so much, but it’s time they threw a little love our way. And that’s what this bag does for you. So whether you need to carry 1 or 3 kiteboards, this bag can handle it. The bags are all black to hide the airline smudges and to simulate that ‘golf bag’ look. 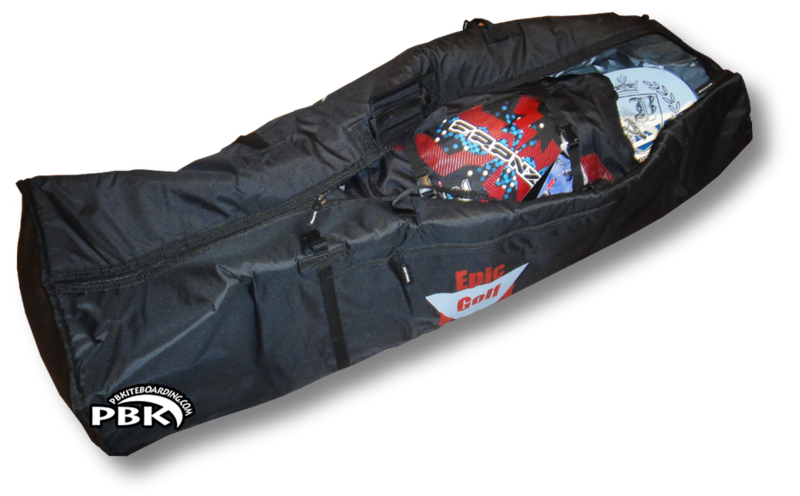 This Kiteboarding Golf Style bag will easily fit 3 kites and 2 boards. It is built of heavy Cordura with foam padding. It has wheels to make carting even a big load easy. with Roller Wheels! Now Removable Wheels!